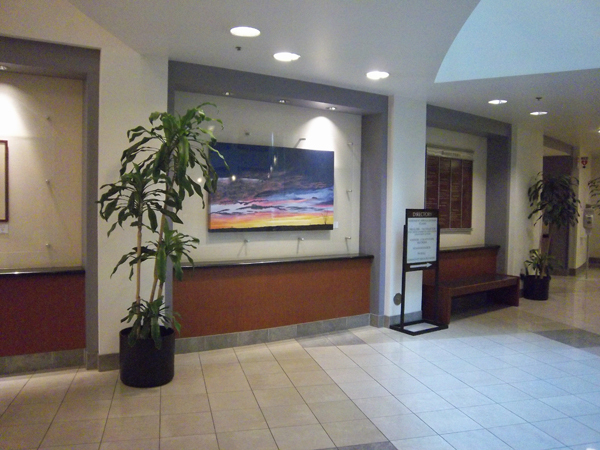 A few weeks ago I delivered six paintings to the Riverside County Admin Building for their next ‘Artscape’ art display. I hadn’t had a chance to go and see the installation, ok make that I hadn’t taken the time to go see the installation, until today. 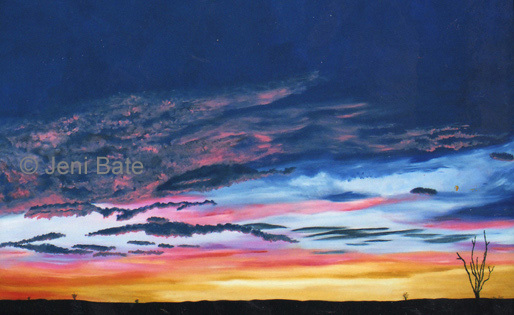 I was prompted yesterday, because my other half, Doug had cause to be in their yesterday – he had to file some papers or some such in the course of his business – and as he walked in he’s glancing at the artwork and saying to himself ‘oh, that painting looks like a Jeni Bate’. Then he remembered that I had taken work in there and stopped to call me. So, I was able to fit a trip into the building into this afternoon’s schedule. 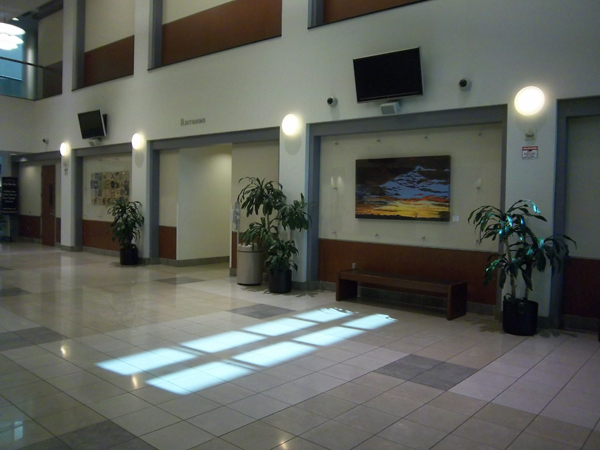 Turns out Friday afternoon is a great time to go take photos at this usually busy public building because at 4pm the place is virtually deserted, and I can take pics without waiting for crowds to disperse. The current show includes several other artists’ work and will be up until sometime in Feb 2015. 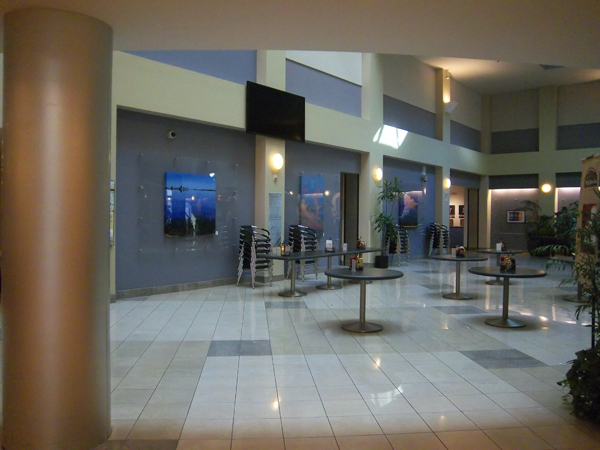 If you’re counting, they only used five of mine in the downstairs lobby, the one on the left is another artist’s work.